I’m a bit swamped by various things going on right now, so I won’t be assemble a fresh blog post this week. Three years ago, my friend Christopher Doll, of Rutgers University, gave a special presentation at the Rock ‘n’ Roll Hall of Fame in Cleveland on Wednesday, March 26th, 2014. 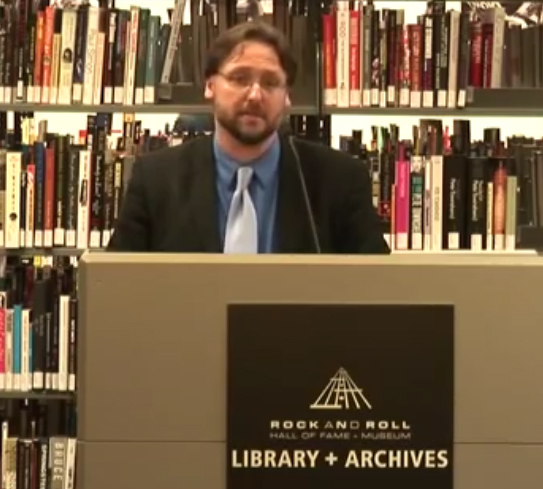 “Nuclear Holocaust, the Kennedy Assassination, and ‘Louie Louie’: The Unlikely History of Sixties Rock and Roll” was the full title of this very special presentation! With any luck I hope to see even more acknowledgement of this song in the Rock ‘n’ Roll Hall of Fame! Originally mentioned on this blog on March 17th, 2014.